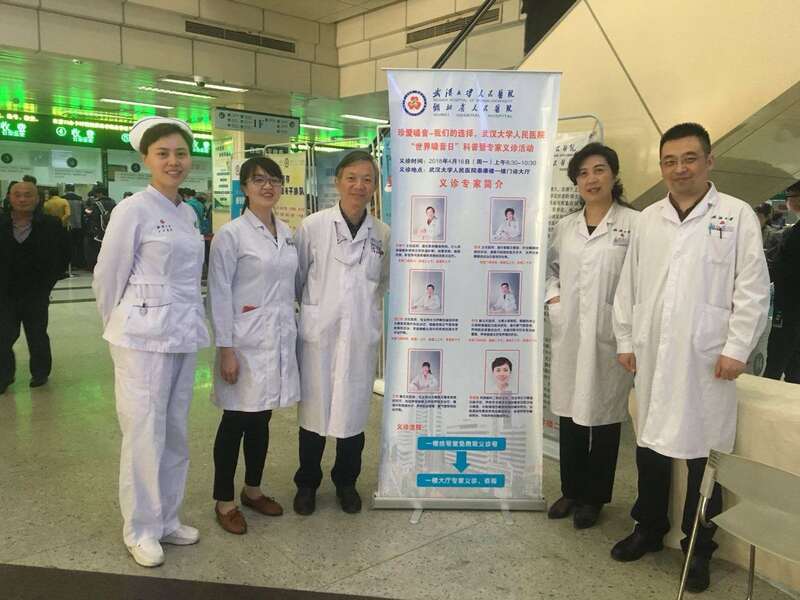 Description: On Monday April 16th, 2018, the laryngologists of Renmin Hospital of Wuhan University held a free medical consultation with the theme “Make The Choice To Cherish Your Voice”, in order to let more people to realize the importance of voice care. 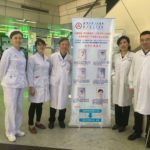 Dr. Tao Zhou and Dr. Jining Qu with the other four doctors provided the fundamental knowledge of voice hygiene and how to protect our voice. We hope to help our citizen to realize that the voice plays a crucial role in developing a personal identity and expressing oneself. Performer/s: Dr. Tao Zhou, Dr. Jining Qu, Dr. Renyue Deng, Dr. Wei Ming, Dr. Yan Wang, Dr Weiwei Lei.